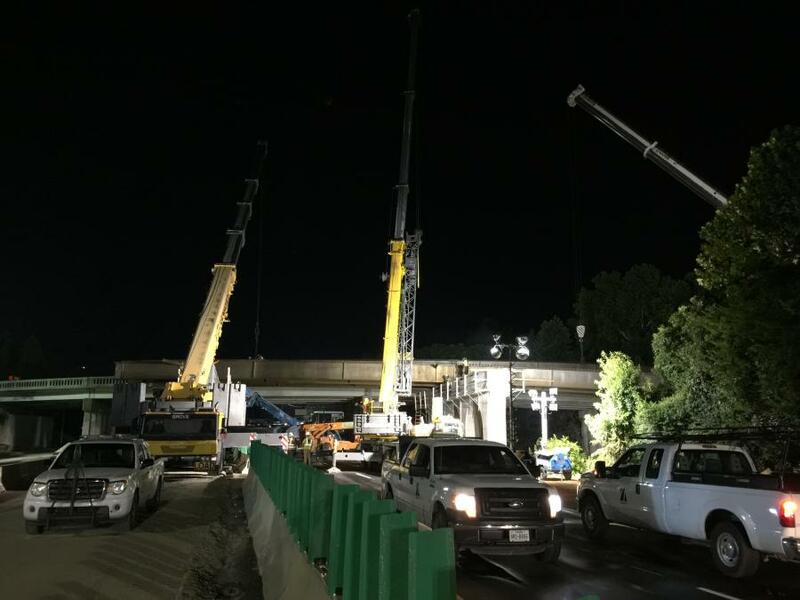 Zachry Construction Replaces Two Bridges in Raleigh, N.C.
Zachry Construction Corporation began construction of the North Carolina Department of Transportation’s (NCDOT) $36.9 million Capital Boulevard Bridge replacement project in September 2016. 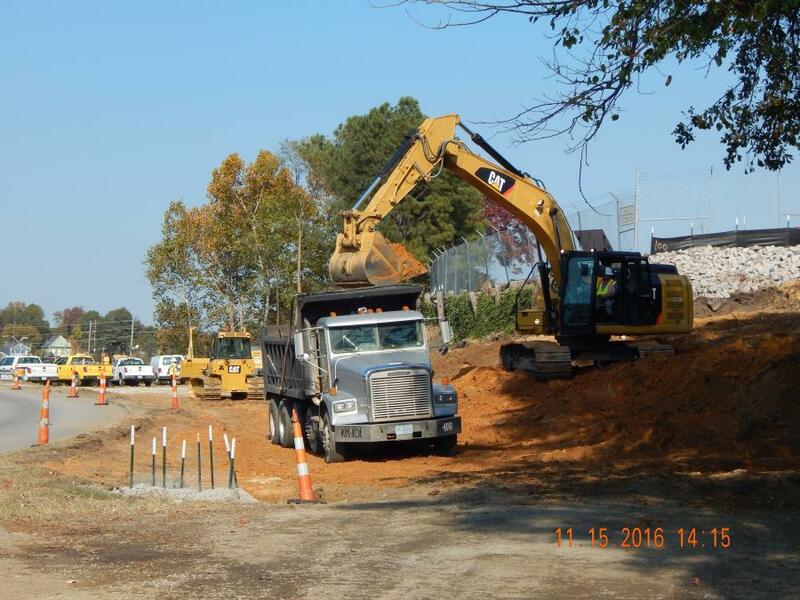 Zachry Construction Corporation began construction of the North Carolina Department of Transportation's (NCDOT) $36.9 million Capital Boulevard Bridge replacement project in September 2016. 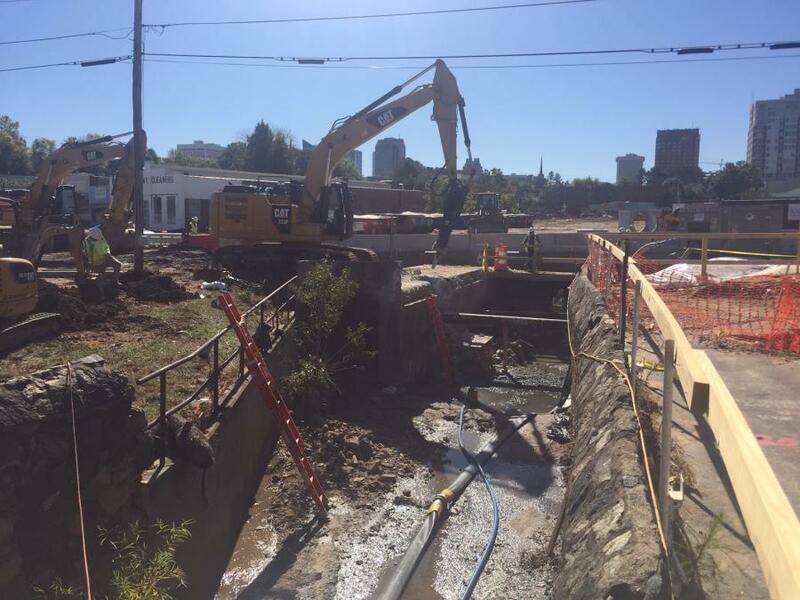 Crews are replacing two bridges in Raleigh — one on Capital Boulevard (U.S. 70/U.S. 401) over Peace Street and another on Wade Avenue over Capital. The project is set for completion in November 2019. On a daily basis the bridge at Wade Avenue carries close to 35,000 vehicles a day, while the bridge over Peace Street has 61,000 vehicles. The existing bridges have outlived their lifespan. Built in 1948, the bridge on Capital Boulevard has a sufficiency rating of 44.9 (out of a possible 100), according to project website. The Wade Avenue bridge — built in 1954 — has a sufficiency rating of 34.1 and has a vehicle weight limit. Both bridges are classified as structurally deficient due to age. While the existing bridges are still adequate to support traffic, they are nearing the end of their design lives and need to be replaced in a timely manner. The city of Raleigh approved its Capital Boulevard Corridor Study in August 2012, and property acquisition for the new bridges began in 2015. 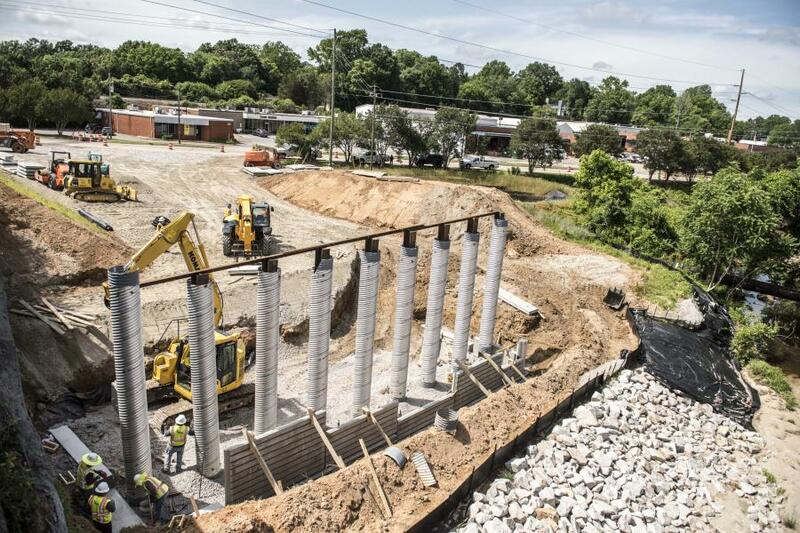 The NCDOT put in serious efforts to ensure that the bridge replacement projects will not restrict the city from completing future projects that fulfill its long-term vision for the area. The capacity of each structure will remain the same, with the Wade Avenue ramp bridge being a single lane in each direction, and the bridge over Peace Street being three lanes in both directions. Both projects were designed by planning and design engineering consultants Kimley-Horn. The current diamond-style interchange at Capital and Peace is being replaced with a square loop interchange that will use Johnson and Harrington streets in the southwest quadrant. The plan calls for a new diamond-style ramp to be added in the southeast quadrant, and for another diamond-style ramp to replace the ramp in the northeast quadrant. Bike lanes are being added to Peace between the interchange ramp terminals, and sidewalks are being widened to 14-ft. along Peace and most of the square loop. The “trumpet-style” interchange at Capital and Wade Avenue is being replaced with a new trumpet-style interchange, with the new ramps placed next to the existing ramps so that traffic can continue to use the interchange during most of construction. Sidewalks are being added on both sides of Wade, and a new greenway will extend from West Street under the Wade Avenue bridge to the off-ramp from Capital to Wade. A new 10-ft. planted median is being added along Capital between Peace and Wade. A public meeting in August 2016 gave people a chance to see the final design and learn how the project would impact traffic. Abbott pointed out that Raleigh motorists are being patient and understanding and appreciate the efforts by NCDOT to inform them about closures, detours, and construction updates. Construction began on the Wade Avenue bridge in September 2016, while work began on the bridge over Peace last summer. Nick Vilaret, Zachry's project manager, has overseen the construction of many heavy construction projects. “The major challenge on this project is relocating and installing the underground utilities quickly as to not impact our schedule,” he said. “Underground utility work must be complete before we can begin the roadway and bridge items, making sure that the unknown obstacles do not cause any conflicts. We are overcoming this challenge by performing utility investigations ahead of the construction and working closely with the city to verify the locations of the existing utilities. Utlities include gas, power, and fiber optic lines. A major lesson also learned on previous projects is to fully complete segments of a project whenever possible to achieve optimal scheduling efficiencies. Utilities such as AT&T, Duke Energy and PSNC also attend meetings and help us out rapidly when problems do arise. For the Wade Avenue Bridge, all the substructure work has been completed and the deck pouring is scheduled to begin on Nov. 15 — the decks are expected to be completed by Dec. 31. Phase 1 of the Peace Street Bridge will be completed in summer 2018. For the 2017 to 2018 construction season, the plan is to complete the Wade Avenue bridge by April and to start Stage 2 of the Peace Bridge next September, with completion scheduled for Nov. 1, 2019. The work is being done with day and nights shifts, along with weekend shifts. Vilaret pointed out that the success of both shifts requires good communications. The day and night shifts have representatives from each shift attending the daily 6:30 a.m. meetings. The night crews change depending on the scope of work. Night activities include those where traffic is most impacted. Between Zachry and subcontractor personnel, there are about 50 workers on site daily. The major subcontractors are: Fred Smith Company for aspahlt paving; Tricor Construction for MSE walls; Stratcon Contracting Corp for hauling; and Young Construction Co. for boring. Supporting Vilaret are Terry Houston, the superintendent responsible for road work and Ray Fuentes, the superintendent for bridges and structures. The amount of materials being removed is still being determined. New materials will consist of 5,000 cu. yds. of concrete, 350 tons of steel, 51,000 tons of asphalt and 30,000 tons of crushed stone. Bridge demolition is mainly done at night by saw cutting, with the bridge deck being removed in sections. Protective measures are being taken to prevent debris from falling into the Pigeon House Branch Creek and onto existing roads. For this project, Zachry's closest equipment yard/shop is the work site itself, which is manned by three onsite technicians responsible for daily and routine maintenance, oiling and lubing and fueling the vehicles and equipment. For this project the company is mainly using Cat and John Deere equipment, including: Cat 336, 325 and 320 excavators and John Deere 135G excavators; a Cat D5K2 dozer; Cat 938 loaders; and a Cat 12M motorgrader. James Hill, Zachry's equipment superintendent, said that the company places a lot of resources into upgrading the skills of its mechanics. In the Carolina region, Zachry purchases and rents equipment from dealerships such as Gregory Poole, Herc Rentals in Raleigh, N.C., Ahern Rentals, James River Equipment and the Flint Equipment Company.